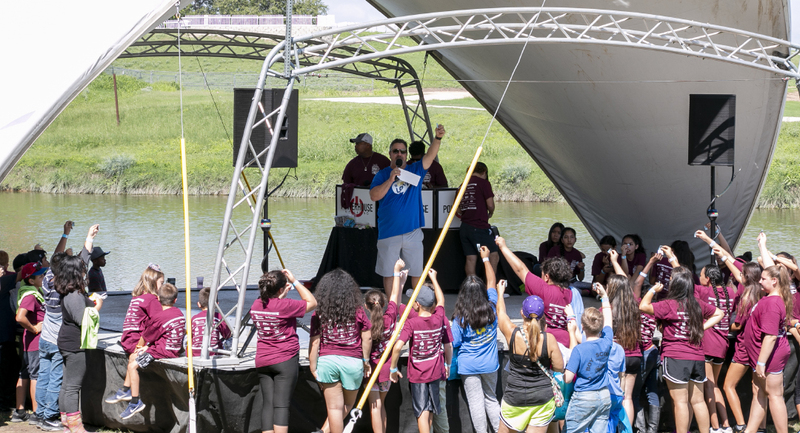 TCC students and other community members cleaned up the Trinity River Sept. 15 at the Trinity Trash Bash. 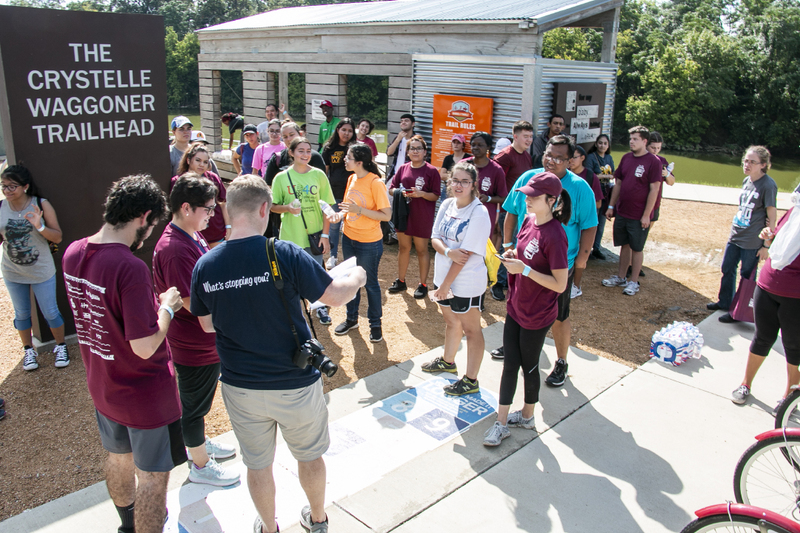 TCC-student participants met 7:30 a.m. in the Idea Store on TR for free breakfast burritos and T-shirts before they embarked on a journey to pick up trash along the bankås of the Trinity River. Forty-seven students showed up, TR student development associate Cortney Walden said. After breakfast was done, students either drove themselves or boarded a bus to travel from TR to the cleanup site. 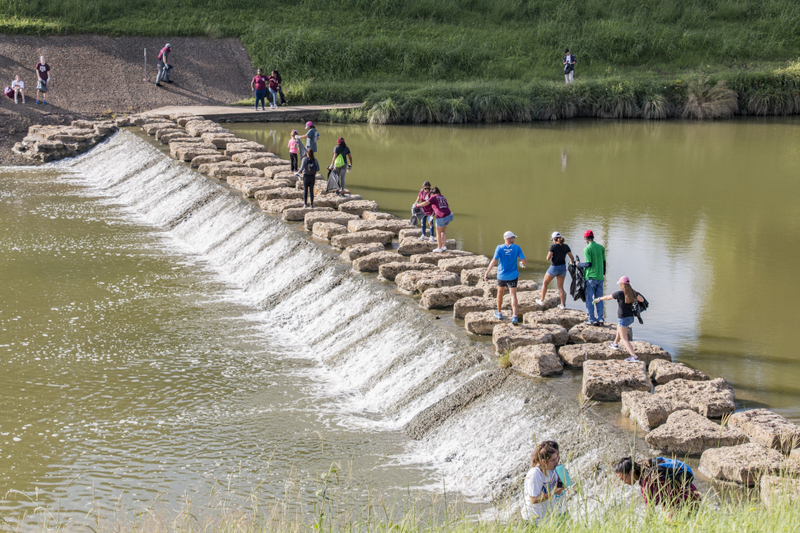 At the site, Trash Bash participants were provided gloves and trash bags to restore the grassy riverbanks. 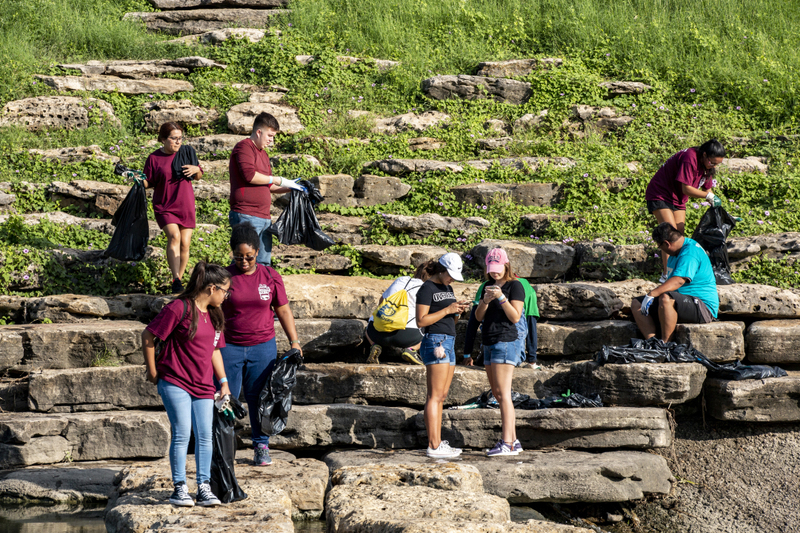 NE student and biology club president Monica Miles said some of the trash like bottles and cans were more difficult to spot because they were wedged between rocks. “Even though it looked clean on the outside, when you took a deeper look, that’s where you could see the debris and the disastrous trash that was all in there,” she said. TR student Katie Beard found broken bottles, shoes and tennis balls in her search. 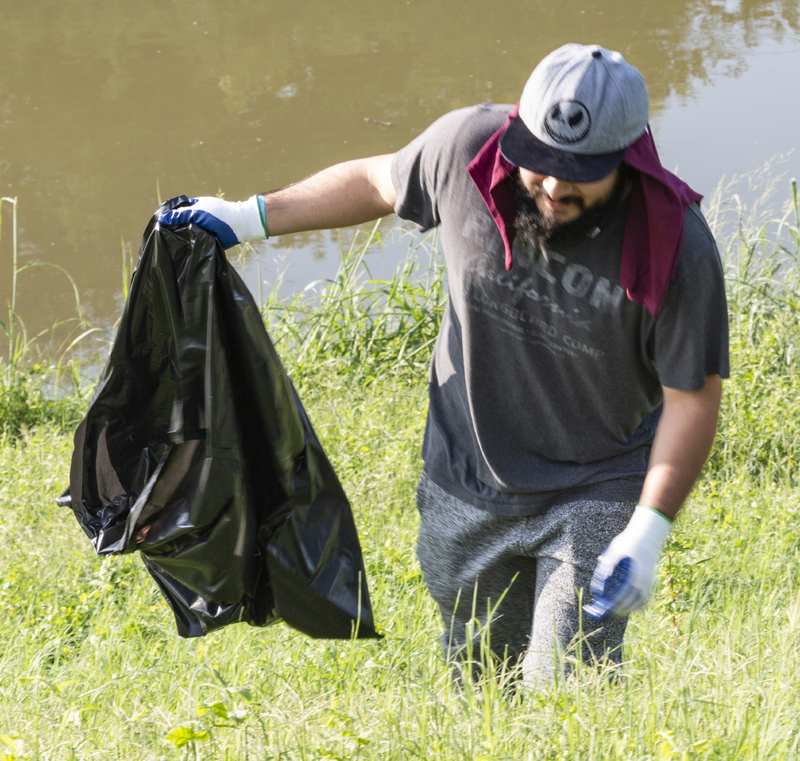 Community members were using the path along the river for running and bicycling, and some expressed their appreciation for the cleanup efforts, Beard said. 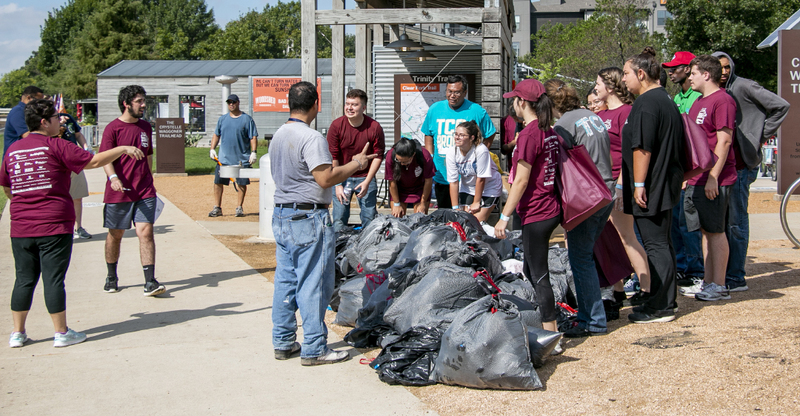 TCC students worked with other community members and organizations such as Southwest Baptist Theological Seminary. 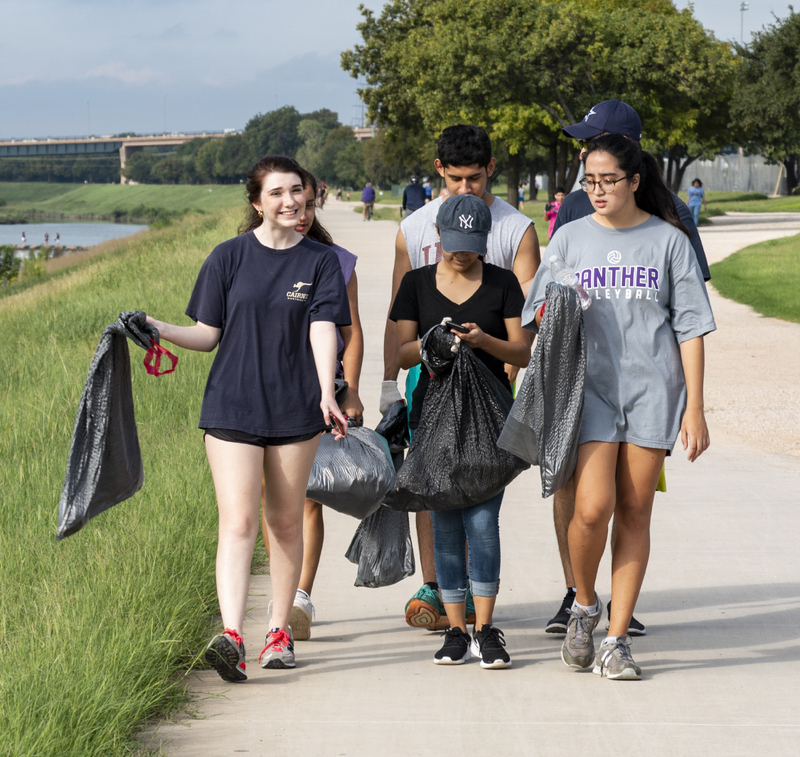 Many groups walking the same path meant some wouldn’t have as much trash to pick up, but upkeep was still important, said Hannah Roberts-Antunes, SWBTS social media and digital marketing associate director.